LOS ANGELES, CA – PB Hassan’s resume as a musician reads like a Top 10 list of greatest collaborations. He’s worked with super producer Dr. Dre, opened up for Notorious B.I.G. 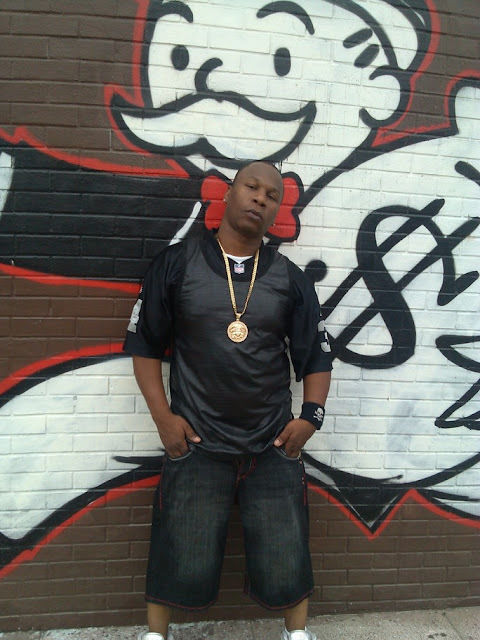 and recorded numerous tracks with hip-hop producer "Hitman" Howie Tee. He’s collaborated on movie soundtracks for “House Party 3,” “Half Past Dead” and “Deuce Bigalow: Male Gigolo,” among others. And he's been on many mixtapes hosted by some of the industry's hottest DJs, including DJ Envy (The Breakfast Club) and DJ Clue (Desert Storm Radio). And what’s more, he’s toured all over the world as a hype man for artists such as AMG and Domino. After decades of success in the industry, he’s ready to make a mark in the world of hip-hop as a solo artist. His latest single, “Birthday Bash”, produced by the Legion is one that he knows will announce his talent to the world in ways that will reverberate for a long time. PB Hassan said since he released the single about a month ago he’s constantly getting comments from people on Facebook in relation to their birthdays. Fans have been sending pictures of themselves at birthday parties dancing to the single, or using the single as a background song over videos of themselves celebrating a birthday. a natural talent for wordplay and rhythm. Toward that end he hopes that “Birthday Bash” will continue the evolution of hip-hop and bring back some of that genre’s roots by encouraging people to revisit the social gatherings of the past and come together over an anthem song such as this one. Fans who want to find out more about PB Hassan can visit his website at artistecard.com/pbhassan1, or check out his music on his Soundcloud or Reverbnation pages. Fans can also follow him on Facebook, Twitter or Instagram for updates about upcoming music releases or live performances.